• Spanish is the third most-spoken language on the planet, after English and Chinese, and the international digital battleground for Spanish-language e-book publishing is just heating up. • Several projects — most notably, Libranda — have launched in the past year and are making progress in finally supplying this large, hungry market with digital content. To date, most e-book initiatives have been led by U.S. companies (Google, Amazon, Apple, Barnes & Noble, among others). As we all know, the Internet has no frontiers and therefore once the English content market consolidates, these companies will enrich their business plans with content from other potential markets such as Spain. We would do well to remember that Spanish is the third most-spoken language in the world after English and Chinese and one can hardly turn a blind eye to the revenue potential of a market that is poised to cater to 500 million Spanish speakers around the world. Faced with this challenge — or threat, depending on which side of the Atlantic the analysis is being conducted — the Spanish publishing sector has gone from practically denying the possibility of selling e-books to becoming one of the European countries boasting the most e-book initiatives to date. In just two years, up to seven digital content platforms have emerged on the Spanish market: Leqtor, Amabook, Todoebook, Enclave, Edi.cat, Leer-e and bringing up the rear, Libranda, a platform aggregating over 80% of the Spanish language book industry. Many observers have analyzed the launch of Libranda from a simplistic domestic market perspective. But its real potential lies in its future strategic role on the international digital battlefield. Leading Spanish book publishers (Planeta, Random House Mondadori, Santillana, Roca Editorial, Grup62, SM and Wolters Kluwer) have decided to join forces and launch a common distribution platform, thus ensuring that the business terms of Spanish-based digital content are managed on the Internet by these companies rather than the aforementioned U.S.-based platforms. This does not mean to say that Libranda’s members will not offer their content to other platforms. On the contrary, they are happy to do business with all interested third parties. Libranda simply aspires to make each business transaction more profitable for the content industry owner. Like most European-based projects, Libranda respects the existing book ecosystem. At this initial stage, most publishers have decided not to sell direct to readers because of the limited income currently generated by the sale of digital books on the Spanish market, but also –- and more importantly — because they want to avoid clashing with the traditional bookstore chains that are still their main sales outlets and source of income. But they may change their minds even sooner than expected given the lukewarm response of the big chain bookstores –- El Corte Ingles, Casa del Libro and FNAC among others — to the upcoming digital challenge, a response that has not gone beyond adding an eBooks tab to their websites. Bookstores should understand that the Internet acts like a disruptive tsunami eliminating all those intermediaries that do not add value to the digital economy. To maintain their role in the twenty-first century, bookstores should invest heavily in redesigning their websites to incorporate new features such as semantic search engines to improve the visibility of e-book catalogues. They should also enhance the online shopping experience with dynamic book recommendation systems and simplify purchasing processes by reducing them to a couple of clicks. In today’s fast-forward environment, everyone suspects that most publishers will soon start selling direct to customers for various business reasons. The gradual reduction in the price of e-books will substantially erode the margin of each sale, eventually forcing publishers to sell direct to maintain their own profit margins. Meanwhile, many publishers are starting to understand that the main competitive advantage of the digital economy is not mere content distribution but rather managing the data provided by users in their search, online recommendations and purchase processes. Facebook, Google, Amazon and Apple were very quick to jump on the bandwagon. As we move from the wide-open Web to semi-closed Internet-based platforms, Libranda may well become, in just a few years, the main platform for the sale of digital content in Spanish — not only books — throughout the world. With each day that passes, increasingly more content industry managers are starting to grasp the potential of e-commerce as a tool for communicating directly with customers. The potential transformation of Libranda’s existing business model should be analyzed by publishing sectors in other countries such as France, Germany and Italy to determine whether they should be moving in the same direction to ensure the survival of their respective markets in the digital race. 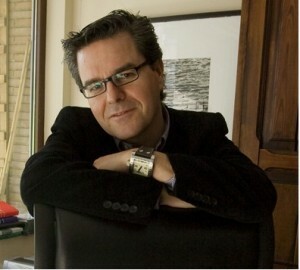 Javier Celaya is vice president of the Spanish Digital Magazines Association (ARDE) and CEO and founder of Dosdoce, an online portal that analyzes the use of new technologies in the cultural sector and publishes annual studies related to trends in the Spanish publishing sector. DISCUSS: Is Digital Spanish-language Content a Missed Opportunity for the Americans?